A classy take on a classic design! Simple and beautiful. Well made with precise piecing and sharp points. 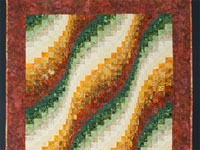 Notice the great fabric used on the back of the quilt. 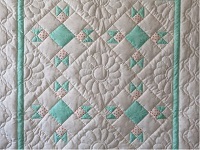 Features lots of great hand quilting. 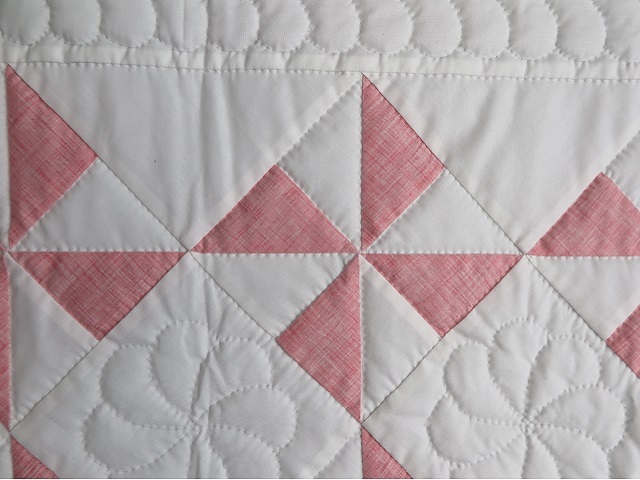 The quilt top was by Pennsylvania Mennonite quilt designer, Connie Lapp, and hand quilted by a friend. 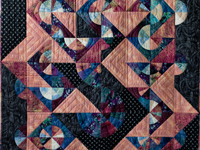 What an awesome display of hand quilting, fabrics and design! 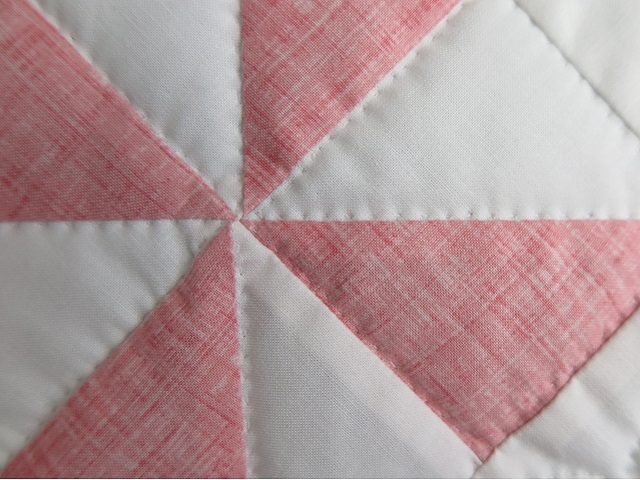 Please take a good look at the incredibly tiny hand quilted stitches. 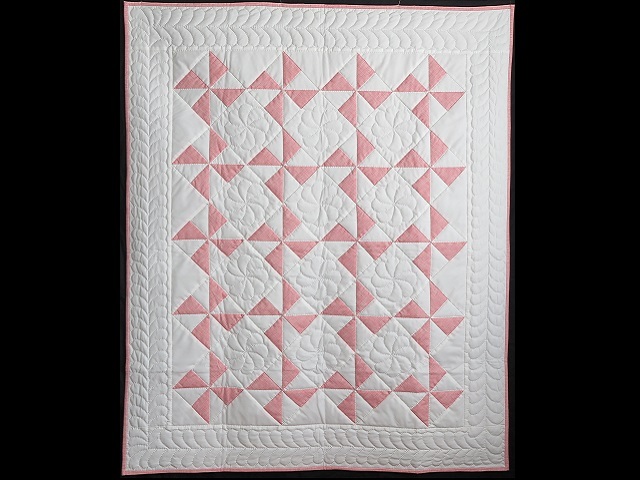 The Pinwheel Puzzle pattern is modern and pleasing. The fabrics are beautiful. Excellent workmanship by a Lancaster County, Pennsylvania Amish woman. 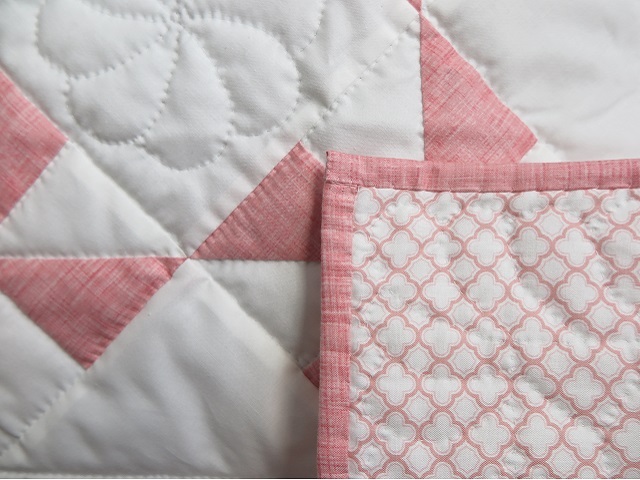 A conveniently sized quilt that would work great as a throw, wall hanging or even on a twin size bed if you don't need a pillow tuck. 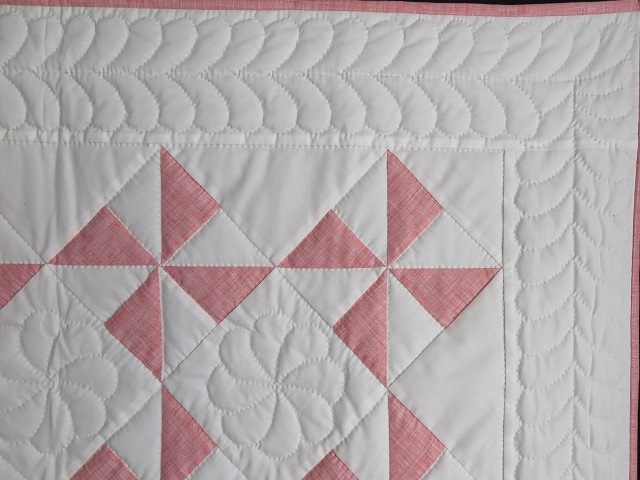 This is a rare gem of a quilt that isn't available often. The Rabbit's Paw pattern is an old pattern that is rarely made anymore. 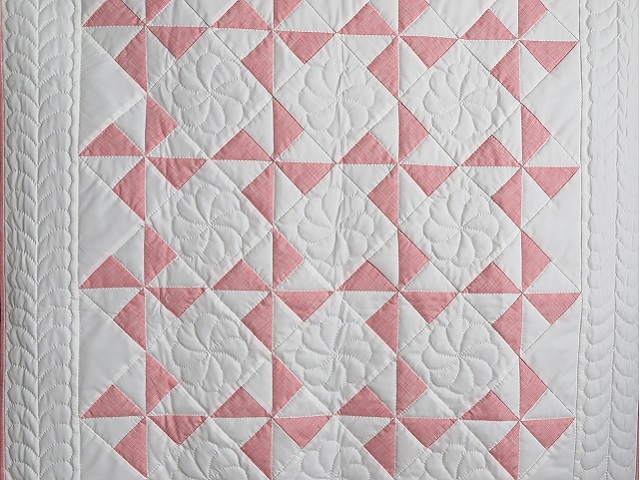 A quilt like great-grandma would have made. Lovely fabrics in soft, pastel colors. 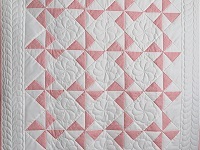 Be sure to notice the great hand quilted designs! Very well made by an Amish woman living in northeast Indiana. Includes a sleeve for a hanging rod. Sure to be an heirloom!